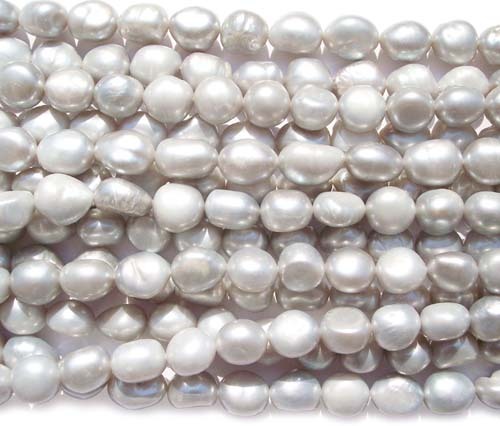 These are AA grade large sized baroque pearls from 10-11mm. 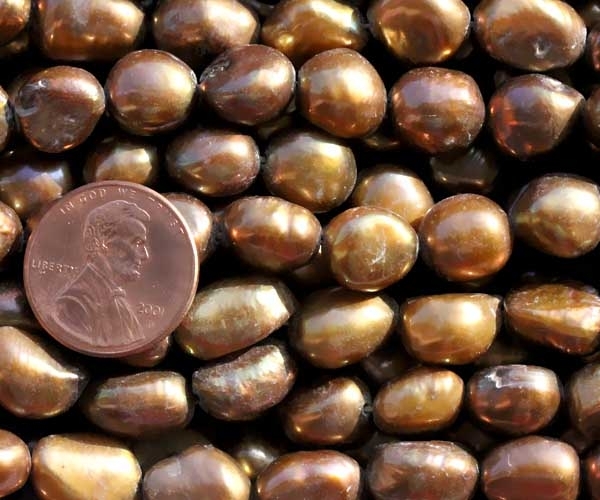 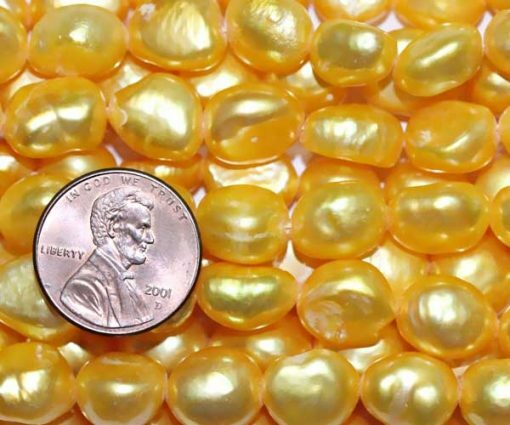 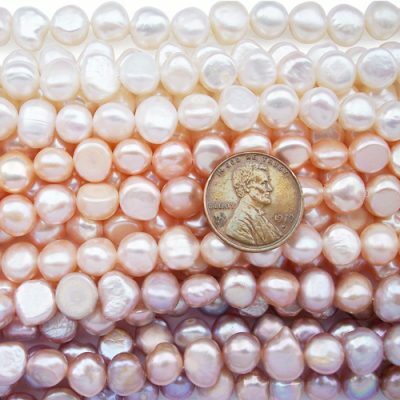 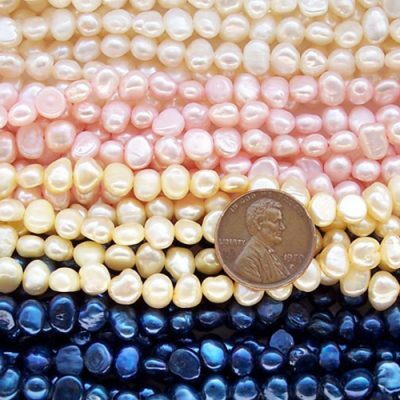 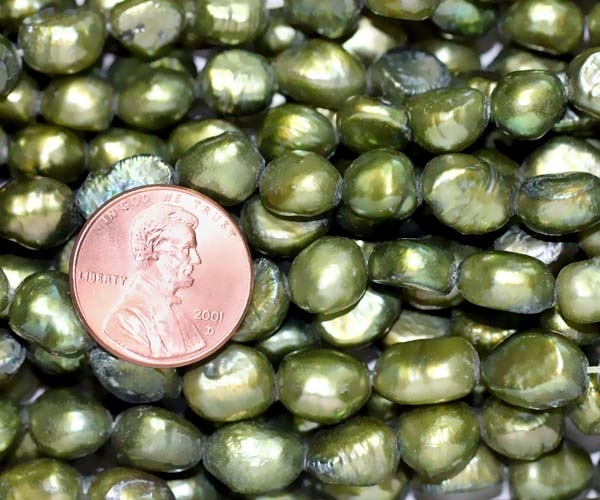 Although these pearls have a relatively smooth surface and few flaws, they still have very natural markings and some rough spots, due to their large sizes. 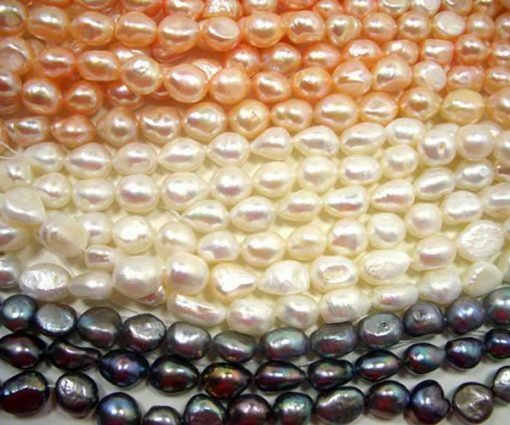 These slight imperfections however are even used to determine the authenticity of naturally grown pearls. 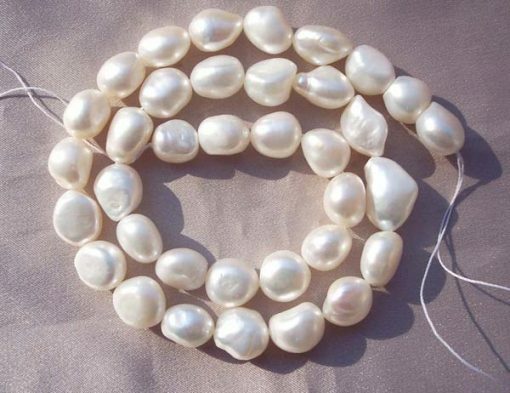 These pearls are very attractive for people who love their pearls natural looking and larger in size. If you’d like to learn more about our pearl grading system before making your purchase, please read more here. 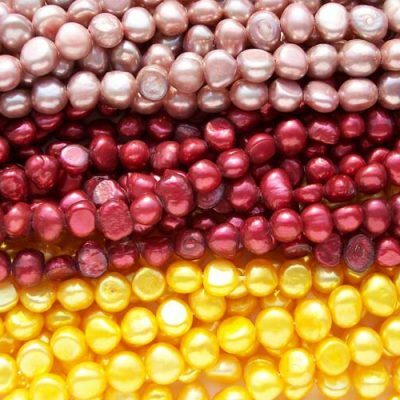 Colors available are: white, pink, black, chocolate, gray, gold, brown, and peacock green, and cranberry. Price listed is for one 15in long strand (approximately 33 pearls).